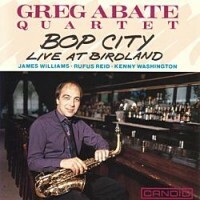 Greg had worked with Brazilian trumpeter, Claudio Roditi and admired his qualities strongly. 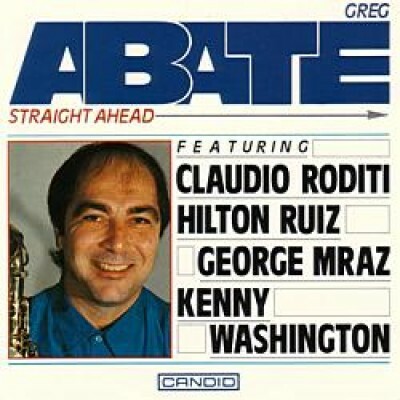 The fact that Roditi has appeared on many previous Candid dates speaks volumes for the regards of fellow trumpeter Morganelli and label director, Alan Bates. 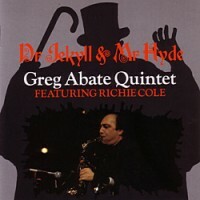 In considering the music made by his quintet in a New York studio in September 1992. Greg pays tribute to Claudio, pianist Hilton Ruiz, bass player George Mraz and drummer Kenny Washington for their superb co-operation on the date. No egos on display here to get in the way of the music! Straight Ahead is an apt title for this CD because it accurately describes the musical philosophy and actuality of Greg Agate's mature and expressive style.